Marriage – a sacred union between a man and a woman who promises to be as one and share unconditional with one another through time. Every couple wishes to stand the test of time and fulfill their promise of “‘til death do us part”, however, circumstances come in the way that challenges the strength of their love for one another. Love never comes easy especially after marriage, couples undergo a number of obstacles that truly test the grounds of the oath they made to one another. Withstanding the trials may take everything that every couple has found though their years of being together. Bottom line is: marriage is not as easy as it may seem. Man and Woman are happiest on their wedding day. Everybody wants to have a long lasting marriage and happy couple life. I mean, who wouldn’t? As the years go by, changes between partners occur and these changes are the root cause of conflicts. Differences in personality, outlook and beliefs are the most common factors that affect marriage. Some successful couples say that marriage is all about knowing your partner and supporting each all the time. There are no shortcuts if you want to achieve this dream of yours. 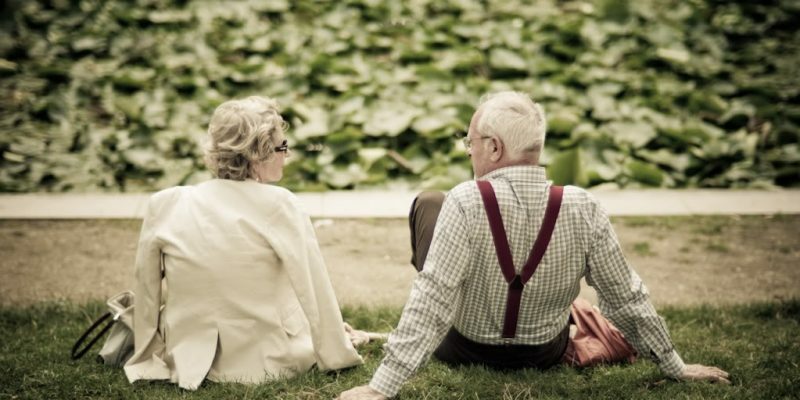 To help you out, here are tips that for a life-long marriage. Treat your spouse your best friend: share your secrets and go beyond unconditional love. Give without expecting anything in return and express your emotions freely with one another. Have a little playtime or hangout together and enjoy each other’s company. The foundations of a successful marriage are Trust and respect; without it, everything will go into waste. You need to retain your understanding with one another and be willing to listen to your spouse’s perspective. Disregard all negativities and discuss and manage conflicts calmly. Continue building intimacy with one another both in sexual and emotional. Despite your busy schedule and hectic workloads, you have to spare some time to connect with your partner. Include your partner’s need in your priority list and never run out of time for them, because if not, you may be surprised one day if your relationship will fall apart. Passionate marriage is within everyone’s reach and not an impossible thing to do. You have to create underlying sense of excitement and fervor; one that is full of intensity, joyfulness and unbridled enthusiasm in both sexual and non-sexual dimensions of your relationship. In making choices and decisions, each couple need to compromise. It’s a teamwork wherein both of you talk things out and come up with a solution that would be better for the both of considering each other’s opinion. It doesn’t mean that you would have to lose what you want or what he wants, but simply you will meet somewhere in the middle. Before marriage you might be accustomed to doing things all by yourself and making one-sided decisions but since you’re married you need to include your spouse in every decision you make. In every conflict that comes your way, face it together and work it out as a group. Never come up with a solution without asking or telling your partner about it. Lies, all kinds of lies should be avoided when you are married. Lies will destroy trust and thus the foundation of your relationship would no longer be stable. Be honest all the time to avoid conflicts that may arise. As what they say, money is the root of all evil – so avoid arguments that concern money. Financial conflicts often lead to divorce. In any case of monetary challenges, never blame one another, just sit through it and talk without raising your voice or hurting either of you. It is important for couples to build their dreams together and share common goal. Having a common dream would mean unity and any bump on the road that both of you will experience will just be a simple challenge. Your work together for it and reach for it as well. Parenthood is a handful task to do, that’s why married couples need to help each other in building their family and guide their children in growing up. Don’t be unfair but equally divide your tasks as responsible parents. Marriage needs teamwork and it is not a one-man commitment. Your relationship may not always be happy, there are always bumps on the road, but be positive that both of you will overcome everything. No matter what changes may come along the way, bear in mind that you gave a holy promise that’s bound for eternity even if you’re already living in nursing homes, as the old passage goes: “A pretty face gets old. A nice body will change. But a good woman will always be a good woman.” Believe in the power of your love and have a happy long lasting marriage!